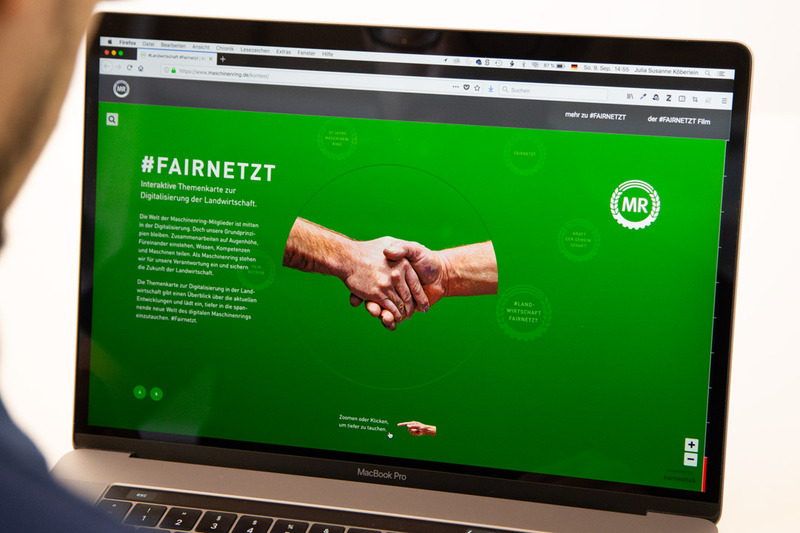 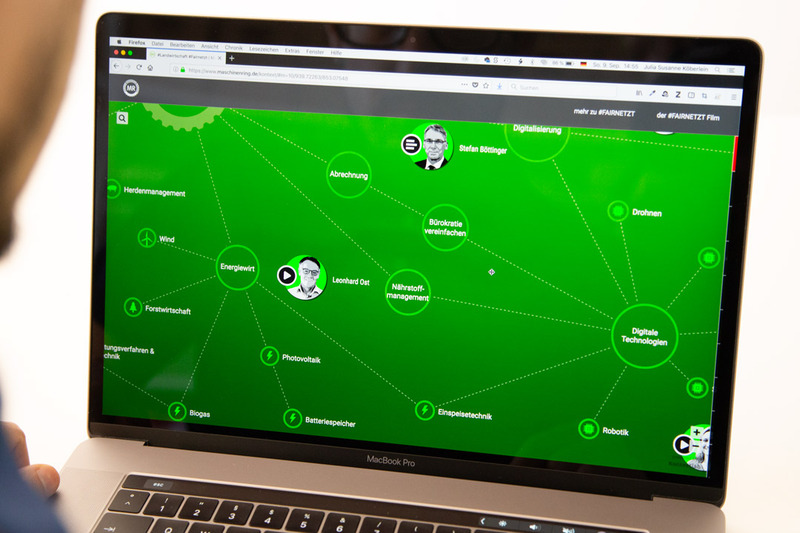 Hand in hand with the campaign “Connected and fair agriculture”, Maschinenringe Germany published a digital knowledge map on the subject of digitalisation in agriculture. 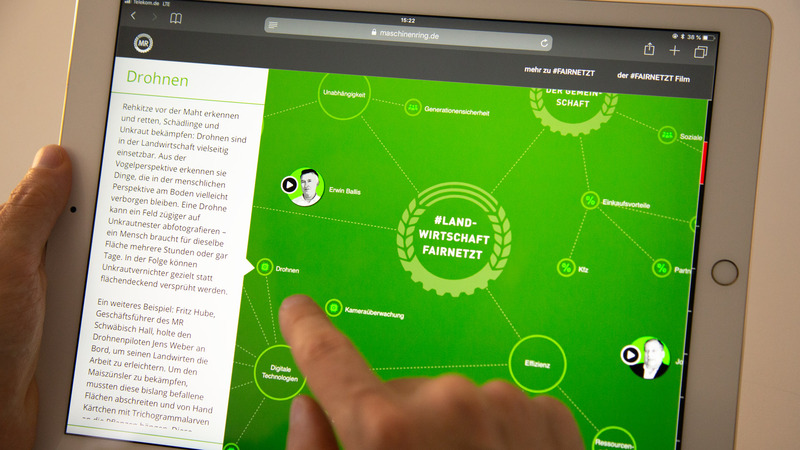 It was crucial to show how the Maschinenringe Germany help farmers to use the manifold possibilities of digitization. 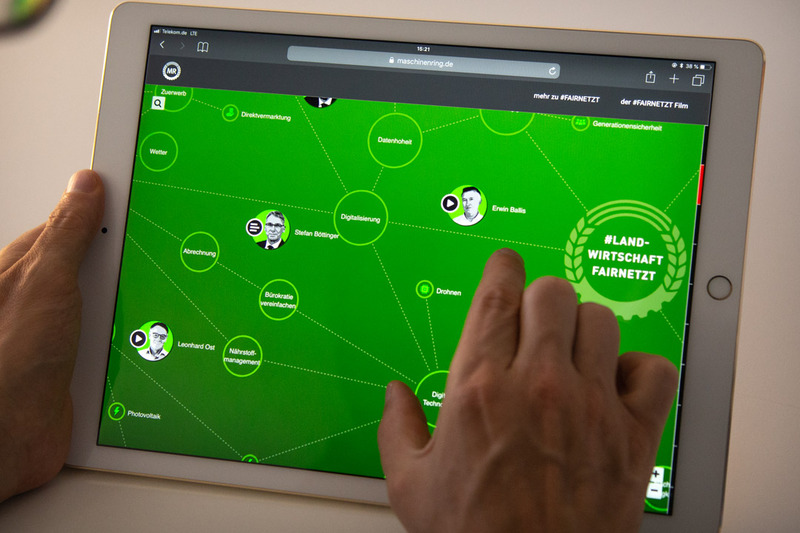 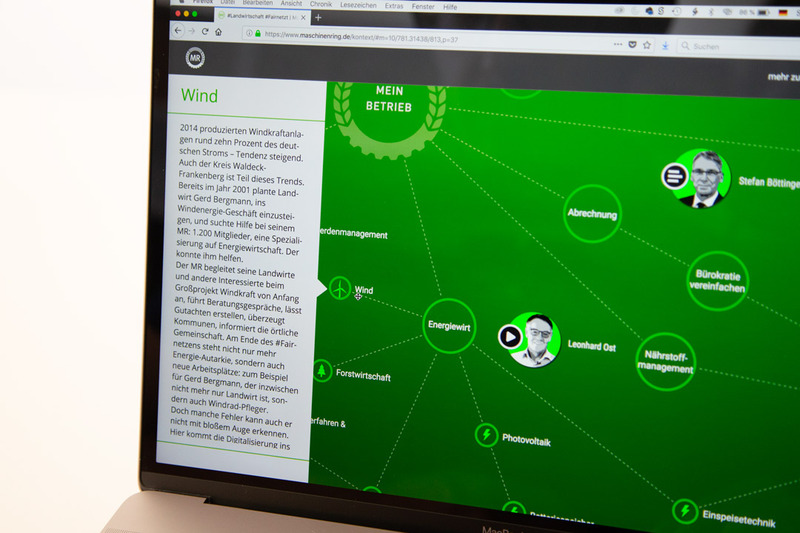 The knowledge map was published at the Agritechnica 2018 trade fair in Hanover and was shown extensively on touch screens at the trade fair stand of Maschinenringe Germany. 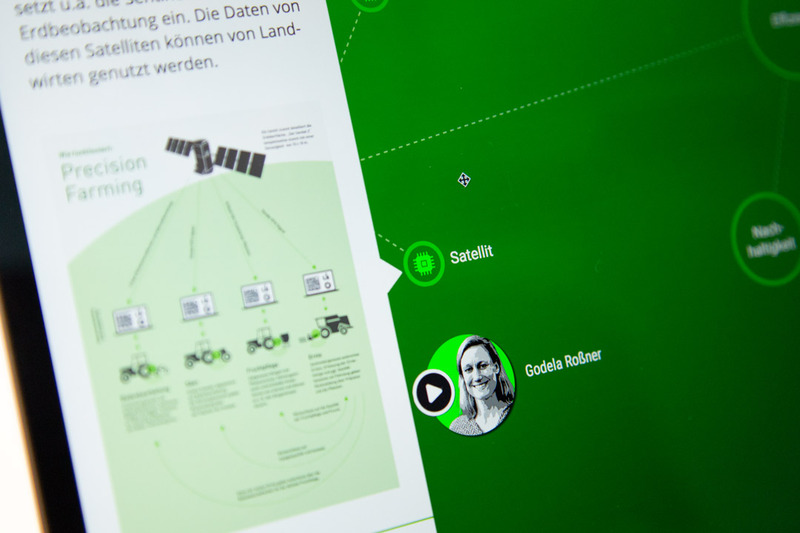 Following the Agritechnica, the map is still available as a permanent publication on the website of Maschinenringe Germany.